When a neighbour recently returned from Hajj—an annual Islamic pilgrimage to Mecca—Zohra asked her mother: ‘When will papa return?’ Eight-year-old is waiting for her father. Abdul Rasheed Shah, Zohra’s father, was an assistant sub-inspector (ASI) of Jammu and Kashmir police. He was killed in a militant attack in south Kashmir’s Anantnag district on August 28 last year. At this time families of the policemen are feeling miserable and unsafe. Following the recent attacks, the cops who live in south Kashmir have been directed not to visit their families. This is how Kashmir cops live between fare and hate. The Congress is all set to launch its strategy for the 2019 Lok Sabha polls on the occasion of Gandhi Jayanti by borrowing the Mahatma’s ‘Quit India’ slogan, albeit with a twist. 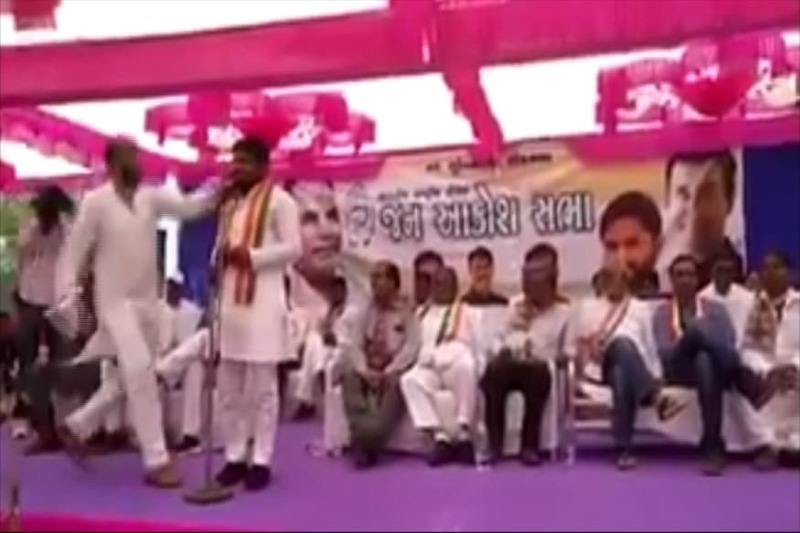 Training its guns at the Bharatiya Janata Party (BJP), the Congress will campaign for the ruling party and its thoughts to quit the country, sources said. Rahul Gandhi will preside over the party's working committee meeting at Mahatma Gandhi’s Sevagram ashram in Maharashtra's Wardha district, and will lead a foot march on the occasion of the Father of the Nation's 150th birth anniversary. A 31-year-old teacher was shot dead allegedly by two family members of a Muslim student, with whom he was in a 'relationship'. The incident occurred around 8:30 am at a tuition centre in northwest Delhi's Mahendra Park, where victim Ankit used to teach. According to sources, the deceased and the Muslim woman wanted to get married. However, the student's brother opposed their relationship as they belonged to different religions. CJI-designate Ranjan Gogoi said people are divided "more than ever" along the lines of caste, religion and ideology and what one should wear, eat or say are no longer insignificant questions about personal life. He asserted that beliefs must be constantly evaluated on the touchstone of constitutional morality, which must prevail when there arises any doubt or conflict, and said this is true patriotism. Prominent Indian-American economist and Kerala government's economic adviser Gita Gopinath was appointed as chief economist of the International Monetary Fund, the financial body's chief Christine Lagarde. Nana Patekar’s lawyer Rajendra Shirodkar has sent a legal notice to Tanushree Dutta. The notice terms the sexual harassment allegations made by Tanushree against Nana as "false". 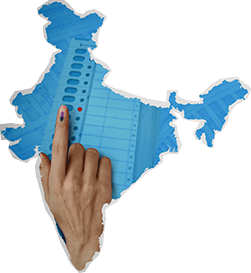 The ‘foreign hand' is back in business, rearing its head in India when Lok Sabha polls are barely eight months away. 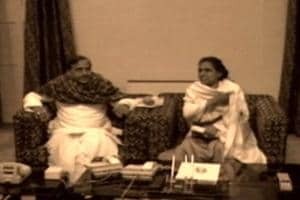 Indira Gandhi had raised the bogey of ‘foreign hand’ on March 3, 1976 when Emergency was in progress and both freedom of press and human rights were grossly curtailed. It is interesting how a section of the BJP leadership is raising the bogey of foreign hand in the Rafale deal controversy. Defence Minister Nirmala Sitharaman has gone on record to say that there is “an international conspiracy” behind the attack on the government. BJP spokesperson Sambit Patra drew a parallel between the opposition party and Pakistani leaders, saying both want Prime Minister Narendra Modi removed from Indian politics. Rasheed Kidwai writes on how the invisible ‘foreign hand' makes a comeback in Indian politics. How to be an adaarsh ladki? 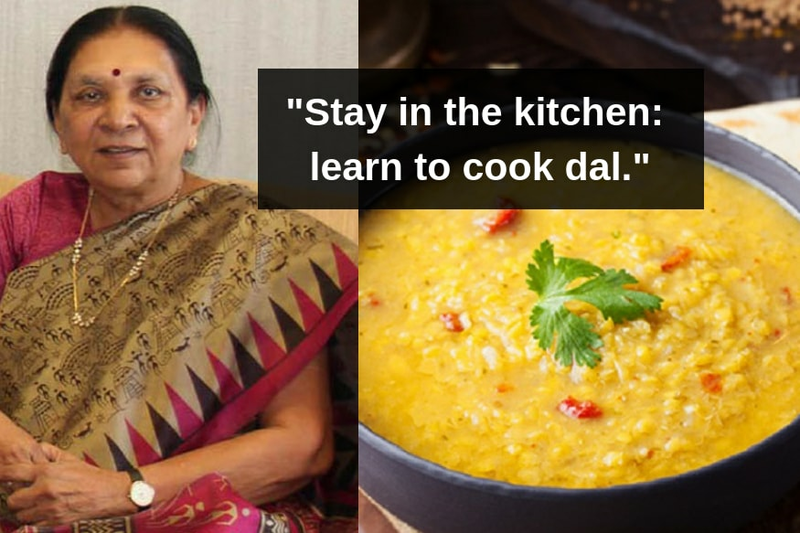 Well, if you ask Madhya Pradesh Governor, Anandiben Patel, she will tell you that it's by learning how to make the 'perfect daal'. Here's the thing. As much as daal is an Indian staple, women are not tested on their ability, or inability to make daal in everyday life. When women are held up to the same standards as men in any competition, "the quality of her daal" does not add bonus points to whatever she is trying to achieve. One of the six children admitted at a municipal hospital in Delhi on Sunday night died due to diphtheria, taking the toll to 19. While North Delhi mayor Adesh Gupta has asked for a probe to check the alleged “callousness of hospital authorities” in procuring the anti-diphtheria serum (ADS), the staff pointed out that nearly all the cases follow the same pattern.